Downers Grove is located just 20 miles southwest of Chicago’s Loop in DuPage County. With nearly 50,000 residents, the town is conveniently located near Chicago, with a variety of highways running through it, as well as railway lines. The area serves as headquarters for a number of well-known companies, including Advocate Healthcare and Dover Corporation. State Farm, Blue Cross Blue Shield, Acxiom, and First Health Group all have offices in Downers Grove as well. The village boasts a large retail economy that is supported by car dealerships and a wide variety of grocery stores and convenience stores. There are also over 600 acres of recreational parks and a variety of recreational activities in the area, making it the perfect place to raise a family. Downtown Downers Grove was listed among the Chicago Tribune’s Top 10 List of Downtowns, making it a great destination for tourists and residents alike. The town also hosts over 140 community events and festivals throughout the year, allowing it to retain its small town feel. 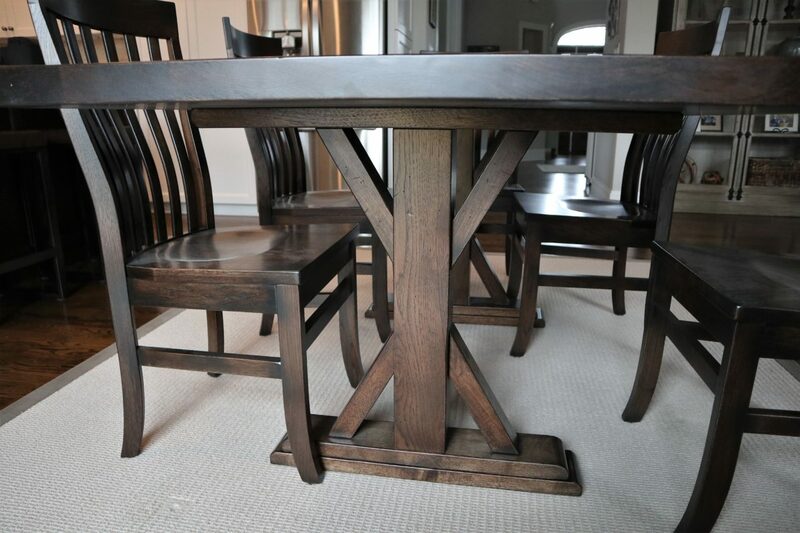 Rustic Elements Furniture is a Downers Grove furniture shop that customizes in handcrafted custom wood tables. We’re located in nearby Joliet and are dedicated to building the very best wood furniture around. 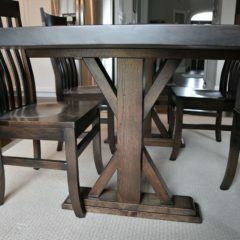 We care about our customers, which is why we build all of our furniture using the highest quality materials available. Our wood furniture is not affected by nail polish, wine, bleach, or other household chemicals, and will not dent or scratch. In fact, we warranty our pieces for 227 years. We will customize your wood table, desk, media center, or storage piece to your exact needs. 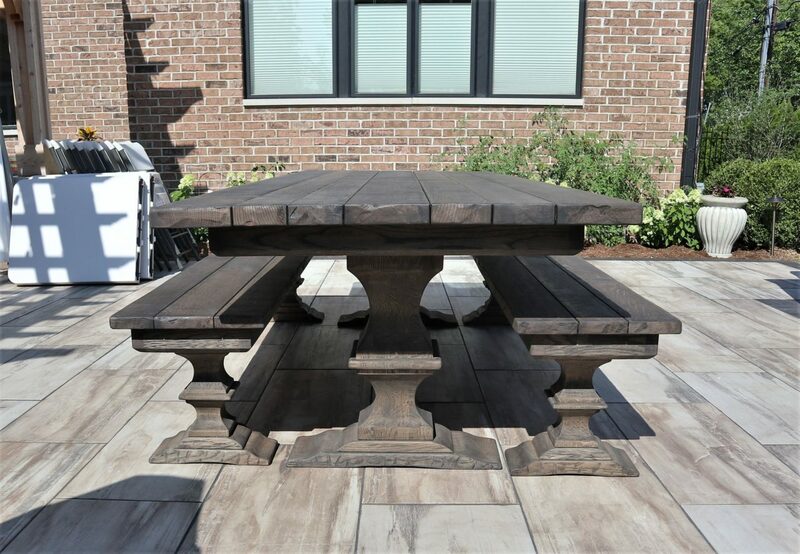 You pick the type of wood, size, style, and level of distress, and we will bring your vision to life. 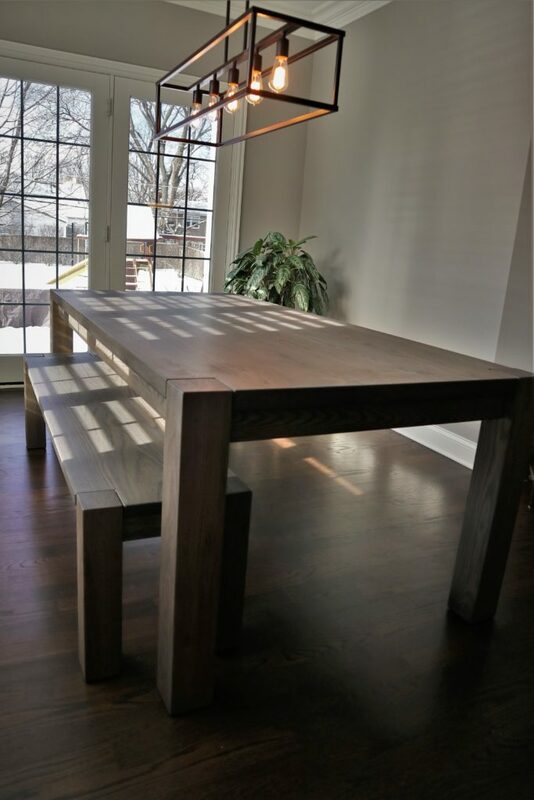 If you live in the Downers Grove area, feel free to stop by our Joliet showroom to see our one-of-a-kind furniture in person and meet with our owner, Scott, to discuss your future furniture project. 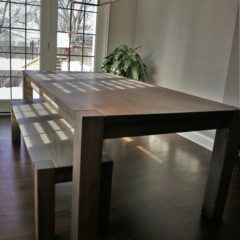 If you’re interested in our wood furniture, but don’t have time to wait for us to a build a custom piece, browse our current inventory of pieces available for immediate purchase. 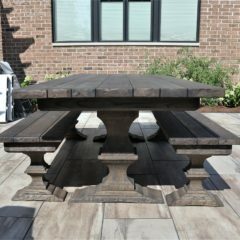 Contact Rustic Elements Furniture today to get started planning your custom kitchen island, buffet, bench, or wood desk!